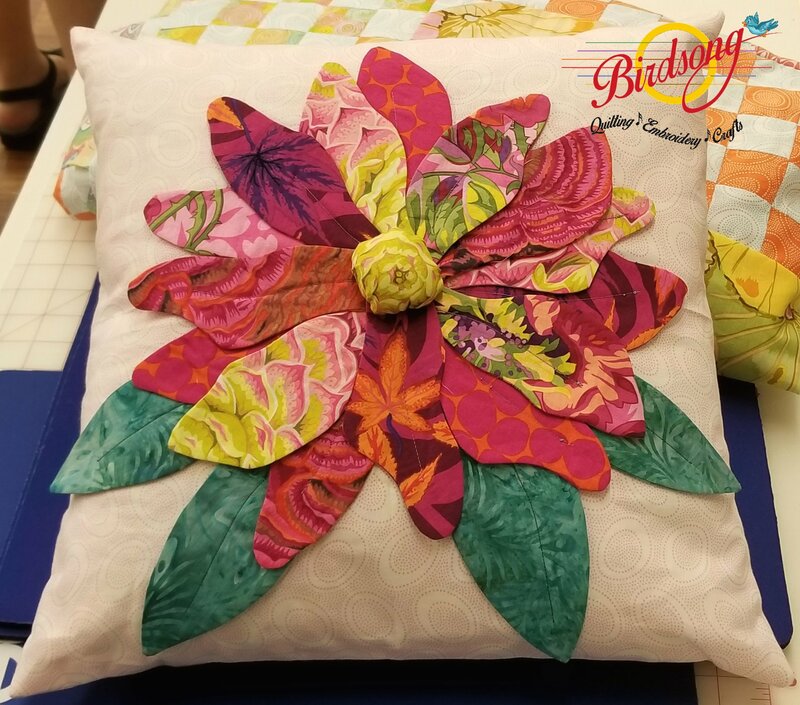 This class uses 3" x WOF fabric strips (3-5 different prints) and 1 yard of background fabric to create a one of a kind flower design on a 16" x 16" pillow. The pillow form is included in the cost of the class, the fabric is not included. Please bring your choice of fabrics shown above. Requirements: Please bring basic sewing supplies and your sewing machine. If you would like to sew on one of our sewing machines please let us know in advance so that we can move one to the classroom in time for class to begin. Don't forget your scissors, pins, rotary cutter, a glue stick and coordinating thread.